Founded in 1994 and headquartered in Teaneck, New Jersey, Cognizant is one of the world’s most admired IT services company. An internship at Cognizant is valued by college students all over the world. Undergraduate and postgraduate students of computer science, IT, electronics and related engineering fields can apply for Cognizant internship 2017. 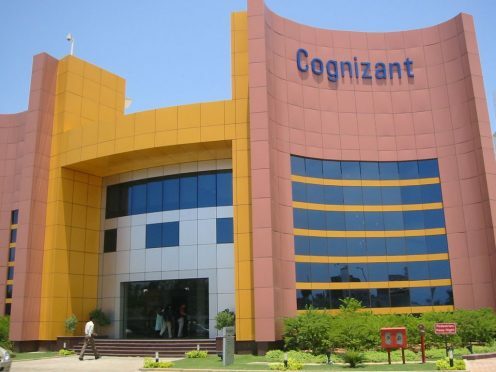 Students pursuing MBA can apply for Cognizant Business Consulting (CBC) summer internships and there are many internships for MCA students in Cognizant too. You can check the company website and apply for available internships. If you know someone who works at Cognizant, ask her to provide you a referral. You can even find Cognizant employees through LinkedIn for this. Find a previous/current Cognizant intern/employee and ask her for the HR’s email address. Mail the HR directly, clearly stating your purpose with a strong cover letter and resume. Cognizant visits selected colleges for hiring interns. Get in touch with your college placement coordinator for arranging a campus visit. After getting the referral or after applying online, the hiring team goes through your profile and if you are shortlisted, you will receive an email from the HR department for an online test. During campus recruitment, the initial screening is done mostly on the basis of your resume and CGPA. For MBA students, many times, an online video with questions like What are your strengths and weaknesses, which have to be answered in one minute, is used as an elimination round. The assessment test has three sections – general aptitude, logical reasoning, and verbal communication. Normally, 55 questions are asked which are to be solved in 55 minutes. The test is relatively easy but one needs to clear all the three sections. • Why should you be hired for this role? What value will you add to the Cognizant brand? • What do you want to do in future that you haven’t attempted yet? Once the Cognizant summer internship starts, interns are assigned to specific teams and mentors. An induction program is conducted with some ice-breaking sessions to ease the nerves of the anxious interns. Cognizant gives a stipend of 25-30K/month to interns. It also hires some interns specifically for work-from-home internships where the intern is required to visit the office only once or twice a month. • Well-structured mentorship process: Mentors and buddies guide your performance and interests from day 1 and make sure that your transition to the corporate world is smooth. You are given full ownership of the projects and encouraged to think out of the box. • Warm and fun work culture: You are supposed to work hard and party harder. Month end stress busters are given as much importance as client deliverables. You are also encouraged to share your feedback with your mentors and seniors. • Speed is important for assessment tests. Don’t spend more than 1-1.5 minutes on a question; if you don’t know the answer, leave it. • During interviews, many questions are asked on the topics mentioned on your resume like skills, previous projects, known languages etc. Make sure that you are well acquainted with every single word written on your resume; don’t write anything just to show off. • Resources: For clearing the assessment test, you can refer to this Q&A site and R.S. Aggarwal Quantitative Aptitude book. For technical interviews, practice a lot of these programming quizzes. Is software industry or business consulting your calling? Check out these cool computer science internships and MBA internships and register here to take the first step towards your dream career. If you have done an internship at Cognizant, we would love to hear; please comment below. I am currently in b-tech 3rd from cse and want to summer internship in cognizant …. I am in final year pursing b. Tech in electronic and Communication Engineering. Please follow the instructions given under the ‘How to apply’ section to apply to internship a cognizant. Thanks for getting in touch. To apply to internships in MBA field, check out the internships here – https://internshala.com/internships/mba-internship. I m 3rd year student of iit kanpur. my branch is aerospace. how can I get summer internship at cognizant. hi this is harshitha frm kdp i am studying bba . can I apply for intern for this summer..? This is Samreen Jahan. I’ve done with B.tech and at present I’m pursuing M.tech 1st year in the stream of Embedded systems. Now I’m planning to take internship at cognizant. If I’m eligible for internship please revert back to me. Hi its me sandhiya I’m doing my 2yr bsc .cs in cbe … I want to atten internship nd wanna know about testing …. Can I atten ???? Hi it’s me varsha I’m doing my 2yr cs in cbe … I wanna atten internship in cts… Wanna know about testing… Can I atten ??? Thanks for writing in. We do not have any information about internships at Cognizant. You can visit their official career page – https://www.cognizant.com/careers for details. Still I’m in b-tech 3rd year . I seriously want a summer internship in cognizant. I’m in b-tech 3 year . Seriously interested in summer internship in cognizant . Please visit Cognizant’s official career page – https://www.cognizant.com/careers for details. Also, you may apply to the internships that are available on Internshala. Please visit https://internshala.com/internships/computer%20science-internship for all computer science internships available on our platform. I’m a btech graduate pursuing 2nd year IT. Can I have any internships for our branch? If any how can I apply it to them? Please register on Internshala here – http://bit.ly/new-registration. Once you’ve registered and logged into your account, you may click on the ‘internships’ button given on your dashboard and select ‘computer science’ from the ‘Category’ option given on the left side of the internships page to view all relevant internships. I’m a MBA 3rd sem. student. I have done my Graduation with BCA.I would like to do internship in cognizant. Please refer to the above article to understand the eligibility criteria and application procedure at Cognizant. For further details, please visit their official careers page. You may also look for MBA internships available on Internshala by registering here – http://bit.ly/new-registration (it’s free). We do not have any information regarding internships at Cognizant. Please visit their official careers page for details. I am a third year law student and I would like to undergo an internship program with the legal department of Cognizant. Is there any possibility for a law internship? If so, please provide me the requisite details. Currently, we do not have any information regarding internships at Cognizant. Please visit their official careers page for details. You may also look for law/legal internships on Internshala by registering here – http://bit.ly/new-registration. Hi.. I’m Dhanalakshmi, currently persuing PGPM in Finance in IBS mumbai, can I look for the internship at Cognizant- Pune..? I am afraid, we do not have any internship at Cognizant available on our platform. For information related to this, please visit their official career page. However, in case you are looking for internships, please register on Internshala here – http://bit.ly/new-registration. Once you’ve registered and logged into your account, you may click on the ‘Internships’ button on your dashboard to view all the internships available on the platform. You can filter internships according to your preference. If you want to pursue an internship in finance, you may select ‘Finance’ from the ‘Category’ option given on the left side of the page. Awesome post! Thanks for updating.